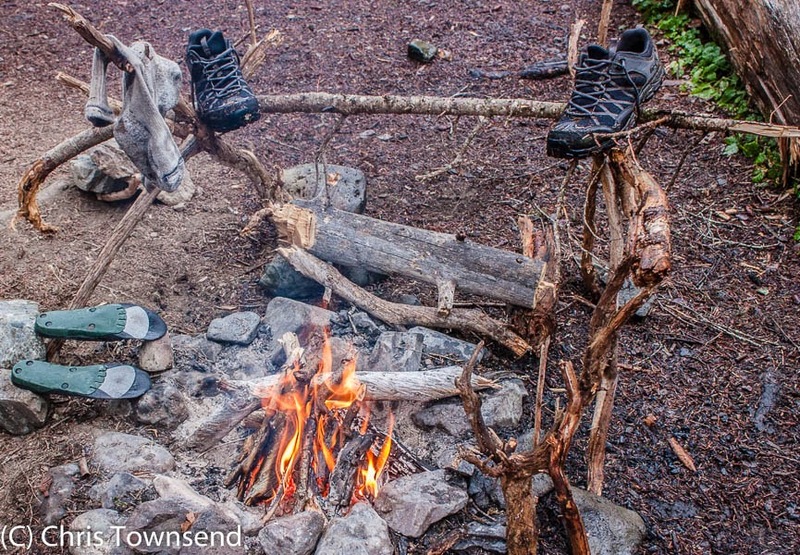 Chris Townsend Outdoors: Why Lightweight Footwear? The weight of footwear has been a contentious subject for many decades. I've written about it many times over the years. It surfaced again recently with some comments on my choice of shoes and sandals for the Scottish Watershed walk. It seems that some people just don't accept you can go hiking in anything other than big boots. Yet I've done so for over thirty years. Here's a piece from quite a few years ago. I think it's still relevant. What do your boots weigh? Do you know? Does it matter? I think it does. Or rather I know it does and have done for over twenty years. It took me a while to learn though. For many years I wore standard leather boots, weighing around 2 kilos (70oz) a pair, for all my walking, including a round of the Munros and a walk from Land’s End to John O’Groats. I noticed that my feet often felt hot and tired but I never put that down to my boots. 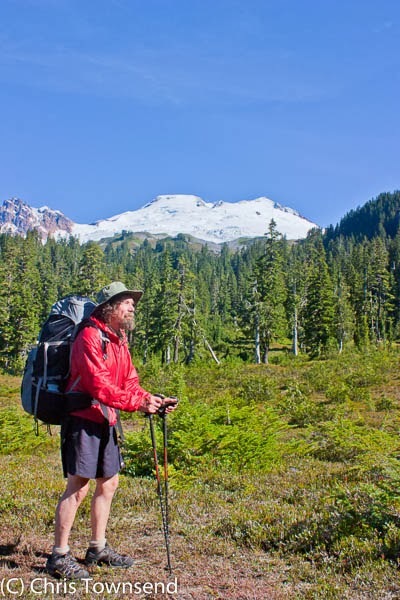 Then I set off to walk the Pacific Crest Trail, 2700 miles from Mexico to Canada. I’d never attempted anything like this before and I was concerned that my feet stayed in good condition. Even in April southern California is hot and after a couple of days in my 2.25kg (5lb) leather boots with a 27kg (60lb) pack my feet were hot, sore and blistered and I was not at all happy. The terrain was fairly flat and I was mostly walking on wide trails or dirt roads so I decided, in desperation, to risk walking in the 480g (17oz) running shoes I was carrying for camp and town wear and which had been chosen purely for their light weight. The difference was astonishing. Released from the stiff, heavy blocks of leather my feet were cool and comfortable and felt much less pounded by the hard ground. Taking 1.8kg (4lbs) off my feet and putting it on my back turned out to be an excellent idea. I did wear the boots again in the snowbound High Sierra but once out of the snow I replaced both boots and running shoes with a pair of fabric/suede trail shoes that lasted the final 1,000 miles of the trail. Wearing light footwear I can move faster and more precisely, gliding rather than trudging. I can also cover more miles for the same effort because I am lifting less weight with each step. Swinging heavy weights at the end of your legs is a good way to tire them. An old adage is that a pound on your feet equals five on your back (or, to put it metrically, 450 grams on your feet equals 2.25kg on your back). This may only be approximate but it certainly feels right. It means that on the PCT swopping my 2.25kg (5lb) boots for my 480g (17oz) shoes was equivalent to taking 7kg (15lbs) out of my pack even though my actual pack weight went up due to adding the boots. In practice I’ve found over the years that my feet ache painfully after 20 kilometres (12 miles) or so in boots weighing 1350g (3lbs) and more. However I can cover twice that distance in footwear weighing half as much with little foot discomfort. This may seem surprising but just consider the difference in the weight lifted. My stride averages about 60cm (2 feet). That means I pick my feet up about 1660 times a kilometre (2500 times a mile), lifting 2240kg per kilometre (7500lbs a mile) with 1350 (3lb) boots but only 1120 kg (3750lbs) per kilometre (mile) in 675g (1.5lb) footwear. Over 25 kilometres (15 miles) that’s 56,000kg (112,500lbs) hefted with the heavier footwear but only 28,000kg (56,250lbs) with the lighter footwear. With that huge difference it’s not so surprising after all that heavier footwear is more tiring on the legs. Those in favour of heavy boots argue that they provide ankle support and that stiffness and weight is required to deal with rough terrain and heavy loads. I don’t think either argument is valid. Ankle support may indeed be necessary (though I think its importance is over-rated) but heavy boots aren’t needed to provide it. In fact, many medium and heavyweight boots offer no more ankle support than lightweight boots, trail shoes and off-road running shoes. To check the ankle support you can stand on the outer edge of a boot and see how much support your ankle has and how quickly it aches and feels the strain. The only boots I own that support my ankles comfortably in this position are my plastic ski touring boots. However these boots are very uncomfortable to walk in, as the stiff ankles restrict foot movement. When I have to walk in them I loosen the clips so my ankles can flex more freely. Good footwear should hold your ankle in place over the sole but what is needed for this isn’t weight but a rigid support that cups the heel. Many years ago I tried a pair of boots without such supports. Despite the high ankles on rough terrain they offered no support at all and my ankles kept twisting sideways. The thickness of the sole makes a difference too. The closer your foot is to the ground the less strain on your ankle and the less likely you are to twist it. That’s why trail running shoes have thin soles. Trail running shoes are also very light and flexible so your feet don’t tire and can quickly adapt to the terrain. Run in heavy, stiff boots and you’ll feel clumsy and unstable and your feet will quickly ache. The same effect isn’t felt so fast when walking but it is there. Flexible light footwear is better, even on steep rugged terrain. The idea that splinting your feet in stiff heavy boots protects them and helps them support heavy loads puzzles me. I find that such boots restrict my normal foot movement so I feel more unstable and insecure than in lighter more flexible footwear. Footwear that doesn’t twist much along its length can be useful on rough ground, as it gives some support when traversing. However soles that don’t flex easily across the forefoot make me feel clumsy, as I can’t walk naturally or place my feet normally. Straining against the stiffness is tiring too. With flexible footwear I can place the whole of my foot on the ground, even on steep terrain, which I find more stable than balancing on heel or toe. Rather than stiffness and weight what actually protect your feet are good shock absorption and a midsole that stops stones from being felt. With modern synthetic materials these need add little weight. They can be found on good walking sandals, as well as trail shoes and lightweight boots. The one exception to this is on steep hard snow or ice when crampons may be needed and a degree of stiffness is useful for kicking steps. Even then a fully rigid boot is only needed for technical climbing. Overall, then, I think light footwear is more comfortable, less tiring and just as stable as heavy footwear. How light can you go? That mainly depends on the weather, particularly the temperature. From June to September I’m happy to walk in sandals anywhere in the British hills. 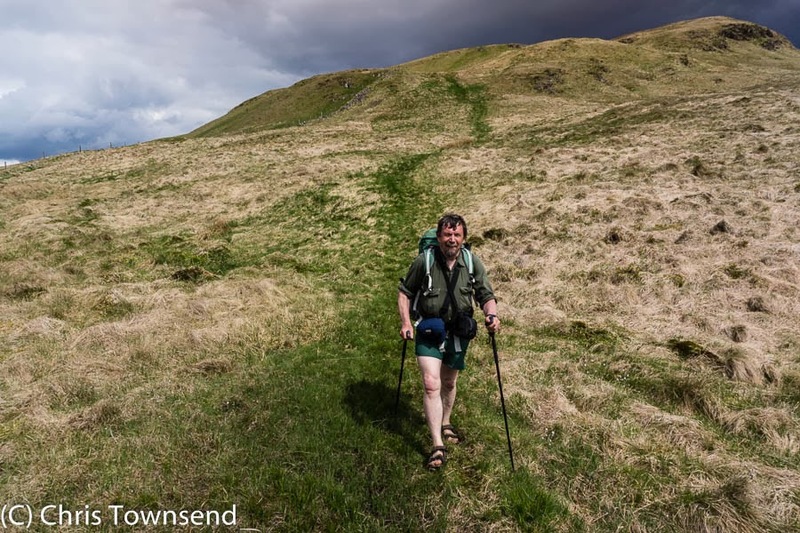 One summer I walked the Southern Upland Way in sandals with no problems. In autumn and spring sandals can be a little cool though so then I prefer trail shoes or lightweight boots. I once spent ten days in the White Mountains of New Hampshire in October.The weather was cold and it rained or snowed most days and I often walked in snow. I wore trail shoes throughout, backed up with SealSkinz socks in the snow, and my feet felt fine. This may be too light for many people, at least at first, and very light footwear can feel insubstantial if you’re used to heavy boots. Once you get used to the freedom and lack of restriction it’s the heavy boots that feel strange and wrong however. The tradition of heavy boots comes from mountaineering, from the need to kick steps up alpine couloirs and keep the feet warm on long glacier traverses. Even mountaineers wear lighter boots now though and walking boots have become less weighty. Even so I still think that many people are still wearing heavier footwear than they need, leading to unnecessarily tired feet.The words “lightweight” and “heavyweight” don’t have precise definitions of course. In my view footwear is lightweight if it weighs a maximum of 1200 grams (45oz). How heavy are your boots? Good piece, Chris! I'm a convert to trail shoes myself. I once even tried the barefoot option! One thing though: what's your trick with ticks? I mean, how do you avoid getting covered in ticks when using sandals and walking in thick grass on the West Coast?? Garlic in the food or what?? Thanks Andy. I don't have any trick with ticks. I just don't seem to attract them much. I do eat garlic though - maybe that's it. I go barefoot occasionally too - and mostly around camp unless it's cold. My wife and I share a diet: she's a tick magnet, I'm not, and to the point that seems to defy obvious explanation. We walk through the same terrain, in broadly similar clothing, and she'll have several "passengers" and I'll have few or none. I've long been a fan of walking in sandals (no socks) but very rarely get ticks on my feet. Bottom line is frequent careful inspection and quick removal. We use vet's tick hooks to get them out. Thanks Max. That's interesting. Good to know it can be measured and is accurate. I remember reading that. Shortly after I bought 3 pairs of HiTec VLites, one of your recommendations, in a bargain sale. I have one pair left because for spring/summer/autumn I typically wear sandals. I don't get through a lot of kit. Nor does it interest me. But light footwear...yes, it seems after ten or twenty years people still habitually wear heavy lumps of leather which is made worse with hot waterproof linings. That's a persuasive article Chris. I might never have swapped to lighter footwear if a new pair of Scarpa boots hadn't given me trouble at the start of a trek. I put on my sandals (which I had only intended to wear around camp) and continued my journey - and it was a revelation. That was several years ago. I've noticed that my calf muscles get a really good work out when I wear sandals. My feet tend to slide around a bit in wet conditions and there is quite a bit of compensation going on. I too am a convert being in terroc 330's for most of my walking. The only time my feet work hard is in boulder fields. But I suppose they would be hard work in boots too!. 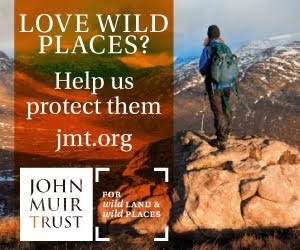 What boot do you use for winter walking in Scotland when crampon use is needed?. My boot choice varies as I'm often testing boots. In recent years my two favourite winter boots have been the Ecco Biom Hike and the Keen Targhee II. I agree that lighter footwear where appropriate (and that’s the preconception that needs changing) can be a massive improvement in enjoyment, but that’s a very personal assessment. There is no right and wrong in what works for each individual. If you were marching on the spot, with your hips fixed so they don’t do any of the work, then there would be some relevance but you still need to calculate how high you are lifting the weight to work out energy expanded, to have a valid argument. The thing is your not marching on the spot, some of the energy you spend lifting your feet is also applied to move you forward, and the forward motion of your body helps to lift your back foot. You don't loose all of the energy you expend on lifting your foot, some of it is returned at the end of the pace. Evidence of this is if you march on the spot you will tire more quickly than if walking at the same rate, and lifting your feet just as high. Don't believe me? Just give it a try, an hour walking on the spot will tire you more than an hour walking on the flat (you’ll probably agree with this way before an hour is up ). The approach that you are using is the same as the guys that initially "proved" that a bumblebee couldn't fly. They forgot that some of the energy is recovered at the end of the stroke (stride in our case). Think of a ball rolling, or more appropriately a pair of swinging pendulums, the energy invested on the start of the stride lift can be reused at the end to help lift the other pendulum. Now we're not as efficient as pendulums as you have to lift your leg in mid swing to miss the floor, but again not all that energy is wasted, as having lifted you foot mid stride at the end of the stride your foot is higher, having more potential energy that you recover at the end of the stride. Also you sway your hips in a slight pendulum action to offset this. http://www.rubberbug.com/walking.htm has good descriptions of this. Research suggests that 60% of the energy that would be expended is recovered because of these pendulum effects. Think of walking forward as pushing a car tyre. Most of the energy is in keeping forward motion against the friction of the tyre on the ground (the bending of the tyre as it meets the ground is an analogy for the energy we expend in lifting our feet). A heavier tyre is harder to start, but once rolling takes only very slightly more energy to keep going. Even if you add in walking over a smooth hill, on the way up in heavier shoes you will be expending more energy (as then you are lifting your feet by the hills gradient, so you loose that at the end of the pace), but you will in fact use less energy walking down hill as the weightier shoes will help to pull you forward as each step is slightly lower (proof is try stopping running down hill wearing heavy boots vs shoes). But of course the thing is the real world is far more complex, and we don’t just walk in a straight line, on the flat at a constant rate. Add in turns, varying stride length, changes in speed etc and it throws the simple maths above out of the window rather. In light shoes you will turn, accelerate and break for less energy, compared to in heavy shoes. Personally I use both shoes or boots depending on the terrain, weather, temperature etc there are benefits in both, the most important thing is to find out what works for you and have fun I reckon! Of course energy expended matters and some is recovered at the end of the swing (but more expended at the start as the weight - footwear - is at the end of the leg) but that doesn't invalidate my argument. The point is the difference in weight of footwear. How much energy is recovered is irrelvant. More energy will be expended with heavier footwear than lighter footwear and one way to describe this is to look at the weight lifted. Of course simply doing it by looking at the weight lifted with each step can only be approximate because of the variables you mention. It gives an idea of the difference between light and heavy footwear though. I wear boots some of the time, especially when there's much snow. There are benefits to both - and some boots weigh less than some shoes so it's not just a question of boots versus shoes. I'm not disagreeing in your point that lighter footwear will require less energy, I’m just pointing out that your reasoning is flawed. Quoting big numbers that don’t tell the whole story isn’t the way to prove your point. The amount of recovered energy isn't irrelevant, its extremely important. Its energy expended that will determine how tired you become, weight is just a factor in that. You are not lifting the weight of the shoes straight up and placing them back down with your hips immobile, if you were then there would be no energy recovery and your figures would be relevant (and improved if you factored in height raised so you could calculate energy rather than weight). When walking forward the same amount of weight is being lifted but due to the pendulum effect and energy being recovered you don’t have to expend as much energy to do it. This is the point. If you repeat your calculations to include the weight of your leg, as that’s what is really being lifted (complicated by the fact that as its swinging and lifting by different amounts at different parts, you can't just weigh your leg) you end up with truly huge numbers, and then the % difference in weight of various shoes starts to make little difference. Why lighter shoes make more of an impact than 1.25% is to do with muscle efficiency and what the muscles are used to. I can’t remember the details (all of what I’m saying is from a half remembered New Scientist? article and a quick google). The point I’m trying to make is that I agree that lighter footwear does take less energy in most situations and so is a desirable factor, and should be promoted. I’m just pointing out that your “evidence” isn’t really proof, its just a factor in a complex equation. There’s a reason why Biomechanics is still a live science! I’m sorry if I’ve come across as confrontational; I have the greatest respect for you and have enjoyed your books for some time, as well as this website. The main thing is you are right in that lighter shoes will leave you less tired at the end of most walks, and you have the empirical evidence to prove it. After all you’ve tested your theory on far longer walks than most of us will ever even dream of! I don't disagree with your comments but I think they expand my reasoning rather than disproving it. It still holds that heavier footwear requires more effort to lift regardless of how much energy is expended or recovered. Obviously there are other factors involved including pendulum swing and the nature of terrain. I can't see how the weight of the legs makes a difference as that weight is the same whatever footwear is worn. Interestingly I see that Horace Kephart took the same approach as me in 1906 in 'Camping and Woodcraft' and that Colin Fletcher referenced this in 'The Complete Walker.' As I've read both books I guess that's where I got the idea from. Thanks for your posts. I'm always happy to be challenged! a very nicely written piece ! i am wondering about total body weight vs shoe weight. shouldn't the percentage of shoe weight vs body weight by taken into account rather than shoe weight. a heavier person perhaps won't feel the difference so much. I am 54 kg and have short legs, it is quite challenging to find a light shoe that is close to the ground and offers good hiking features. That's a good point. Weight does come into it but should also include pack weight. I can add 20+kg to my weight with a full load. 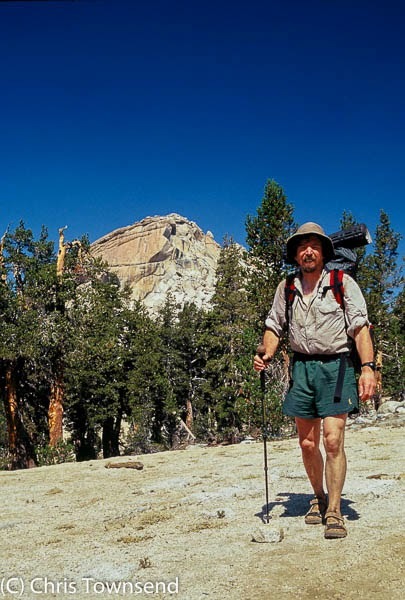 I was carrying 25+kg at one point on my recent Yosemite to Death Valley walk (I had 11 litres of water) and was wearing light sandals. thnx. im getting new hiking shoes if you have some advice. my dillema is between a lightweight one that has mostly mesh (merrell capra bolt ~ 330 gram per shoe) and a heavier one with suede + goretex (capra sport leather ~ 400 gram per shoe). there doesn't seem a clear solution to these dilemmas.. If the fit is the same and they're equally comfortable then it really comes down to whether you want waterproof shoes or ones that are very breathable. In part that depends on you'll wear them. In warm weather I'd always go for breathability but in winter conditions I like dry feet. Bit of an old thread by now I know, but I'm looking at new footwear for this season and I'm really interested in going down the off-road running shoe route instead of my life-long love affair with boots. 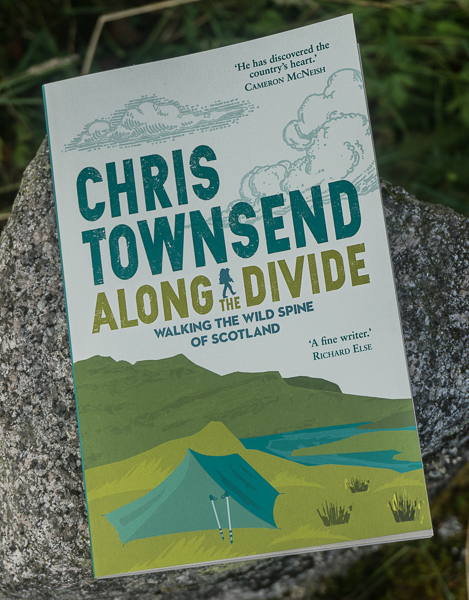 My only reservation is getting wet feet in the British hills, and the impact it may have over a few days of walking. How do you deal with it? John, I deal with it by accepting my feet will get wet during the day and ensuring that I have dry socks to wear at night. I don't find wet feet during the day a problem. When I used to wear boots my feet still got wet quite often on multi-day trips. The difference is that though trail shoes let water through sooner than boots they also dry more quickly. Much as I'm still a boot fan (albeit lightweight fabric ones and yes, they have GoreTex) seeing as I find I get a lot of grit in my footwear if I wear shoes, I am also an occasional trail runner and have competed in various extreme assault courses that take great delight in getting you wet and muddy immediately and staying that way for hours, including immersion in ice water. My trail running shoes (Adidas adizero XT4) deliberately don't keep water out because that also keeps water in which is worse, and they are pretty deatherlight (I have size 11's and I think they weight in at about 240g each). I pair them with a pair of socks specifically designed for trail running and even when wet, my feet don't feel wet nor do they get cold (although I'm sure a stint in the mountains in the depths of Winter would alter that) and they stay comfortable. I think there's probably a lot in the theory of accepting you'll get wet feet in lightweight shoes and mitigating that by appropriate shoe and sock combinations away from the extreme cold of winter. But I still prefer my GoreTex lined fabric boots! I recently completed the GR 70 in a pair of Asda sandles and apart from dirty feet i had no problems. Fell runners wear the tiniest shoes and bound along on rocky tracks easily. I read that the most popular footwear on the spine race were leather boots. To me cold and wet equals leather boots and for everything else Asda has it covered.. It is an awesome post. Thank you for sharing your experiences. It's difficult to going out for workout in cold weather. It doesn't synchronize with the pitch. But I found the best shoe at best crossfit shoes 2016 for cold weather. I'd really appreciate your advice! On a day-to-day basis I'm a barefoot indoor and classic croc outdoor person, and that's throughout the year. As such I have quite wide feet which get hot quickly. At least once a year I like to do a long walk. So far I've done the Cotswold Way, part of the Macmillan Way, most of Offa's Dyke, half of Glyndwr's Way, a circuit around the Peak District, etc. And every year I struggle with my footwear. 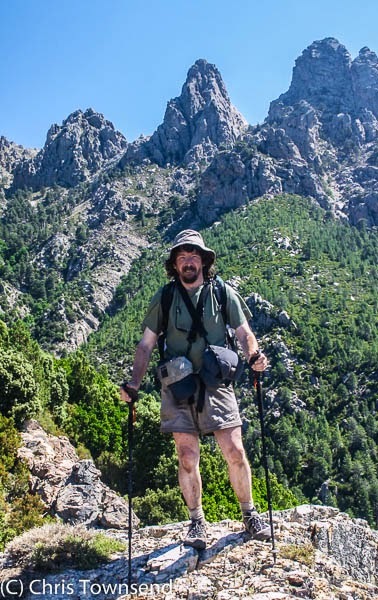 In fact, I've worn a different pair of walking boots each time because i'm always struggling with (1) the warmth, (2) the tight fit and (3) the general weight and claustrophobic experience - three things that don't trouble me with bare feet and crocs! In late June I'm planning on walking parts of the Pembrokeshire coastal path before making my way back on foot towards Warwickshire, where I live, and I'm dreading repeating my previous walking boot hell. Blisters and bruised, compressed and overheated feet are not much fun. My most recent pair are Keens, which have a blessedly large toe box and are reasonably light. They are supposedly waterproof, but as my feet sweat so much they might as well not be. Also, I've found the sole cushioning in parts to be inadequate, and what with a heavy pack, that translated into bruised feet. Another thing about walking boots in general is that they require your feet to be shaped a certain way. With my right foot my heel is always forced against the inside heel cup, which means rubbing. In short - I hate walking boots! So I've just started looking at alternatives to boots, and am considering sturdy sandals (and even my crocs) and that's how I came across your blog. What you say inspires me to go down the sandal route - all that lovely air passing around my feet as I traverse hill and valley! 1. What about bogs, water-logged cattle-fields, etc? Do you just plod through? How do you deal with the resulting muddy sandals, feet and ankles? 2. 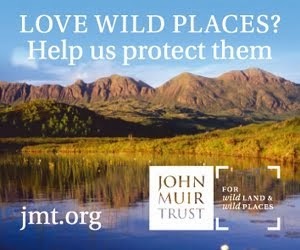 What about fields with nettles and tough undergrowth where with a good boot you'd just battle through? These appeal to me the most. They have good toe protection, look pretty sturdy, but may not dry out that quickly. These get great reviews but are obviously very open to debris, stones, roots, etc. Your thoughts on this would be greatly appreciated. Sandals certainly sound the answer to your dilemma. Regarding your concerns - 1,I just walk through bogs etc and rinse my sandals, feet and legs when I can. 2) yes, you need to take with nettles and undergrowth but I've never had a big problem when wearing sandals - trekking poles are useful here. 3. Wet feet don't bother me and they and the sandals dry much faster than in shoes or boots. Thanks for the response. Any recommendations? Teva Terra-Float. Last autumn I walked about 350 miles in the High Sierra and Death Valley in these and they were excellent. Great. Thanks for that. I will look into it.